I'm on day 24 of my second round of Jillian Michael's 30 Day Shred. I will soon be updating you with my stats for the whole 60 days. I can tell you that I have lost a few more pounds and have now passed my goal weight of 125. I weigh in at 123.6. Seriously folks. I have now lost a third of my body weight since I had my first child. I am amazed at the strength God has given me! He has also given me the desire to help others, and because I have very limited time, I have found a convenient way to do that. Of course, this blog's goal is to inform and help others with their fitness goals. But, more directly, I have started a "Fit Club" via Facebook for people in my church, or who are associated with my church somehow. Folks at church were asking how I lost weight or how I was getting in shape and several of them started the Supreme 90 Day program because of my results. The Facebook group was a way to support each other through our lifelong fitness journey! I believe it is helping these individuals by encouraging to keep with it! Spray casserole dish with cooking spray. Place bell peppers in the dish and set aside. In mixing bowl, combine all other ingredients, except for cheese. Spoon the mixture in equal portions in the bell peppers. 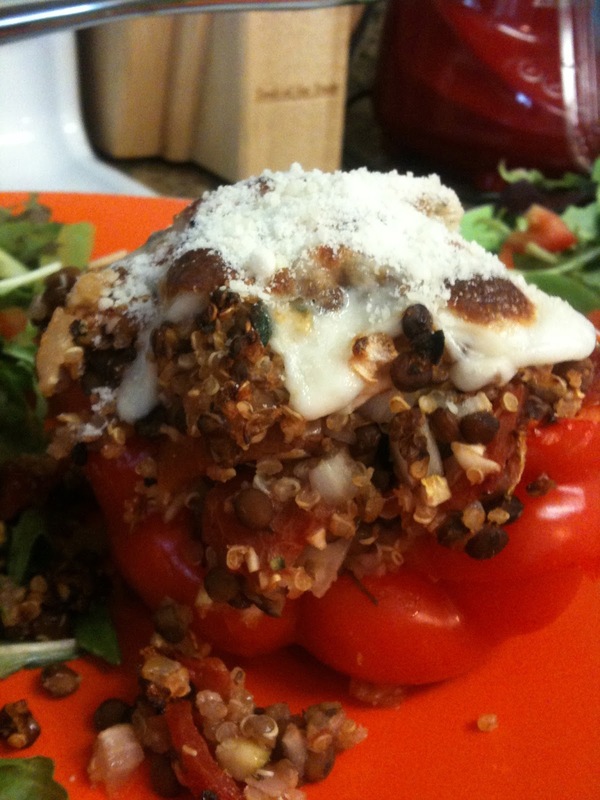 Place in oven for 25-30 minutes, or until bell pepper is tender. Turn on broiler in oven. Place cut string cheese sticks on top of bell peppers. Sprinkle with parmesan. Place in oven under broiler for 2 minutes, or until cheese has some golden brown spots. Serve with a bed of greens or fresh veggies. Enjoy!